JANUARY 25, 2019 - STILLWATER, Okla. (AP) — A puppy born with his front paws facing up instead of down and unable to walk is recovering after surgery at Oklahoma State University's Center for Veterinary Health Sciences. 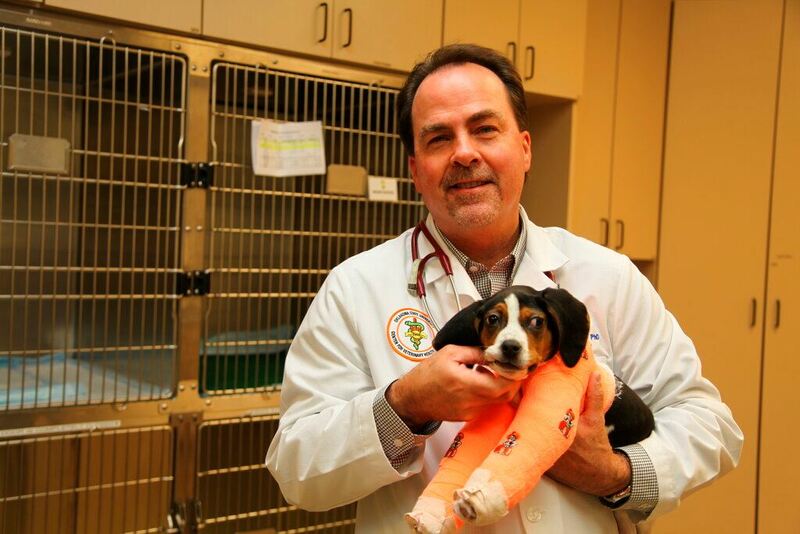 In this Jan. 9, 2019 photo, provided by Oklahoma State University, Dr. Erik Clary holds a puppy named Milo in Stillwater, Okla. Milo, born with his front paws facing up instead of down and unable to walk, is recovering after surgery at Oklahoma State University's Center for Veterinary Health Sciences.Derinda Blakeney/Oklahoma State University via APDr. Erik Clary said Friday that he's pleased with the progress of the 10-week-old dog named Milo. 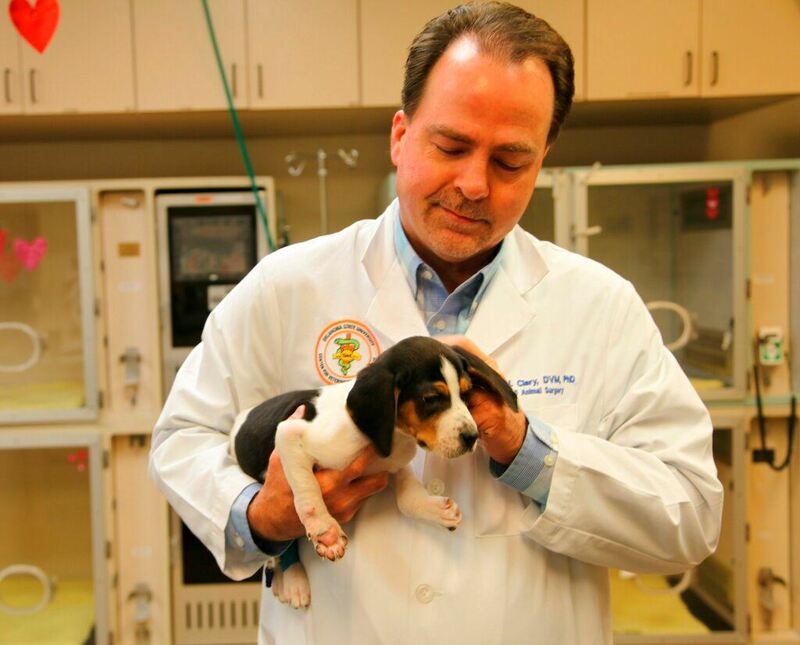 The 8-pound (3.63-kilogram) puppy had elbow surgery Jan. 9 in Stillwater. In this Jan. 23, 2019 photo provided by Oklahoma State University. Dr. Erik Clary holds a puppy named Milo in Stillwater, Okla. Milo, born with his front paws facing up instead of down and unable to walk, is recovering after surgery at Oklahoma State University's Center for Veterinary Health Sciences.Derinda Blakeney/Oklahoma State University via APAn animal rescue group founder took Milo to the school and is caring for the puppy post-surgery. Jennie Hays, of the nonprofit Oliver and Friends Farm Sanctuary , said Friday that Milo was doing great and is a "very happy puppy."